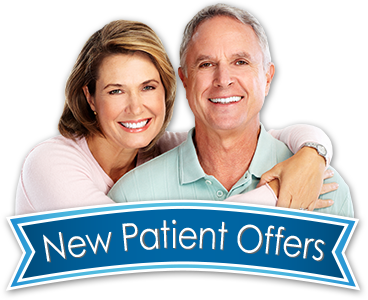 Adult dental care, in Wakefiled MA, with overdentures, dental extractions, care for seniors! A major reason to visit our office is to have your teeth cleaned by a professional hygienist. Plaque and tartar build up on teeth over time. Plaque is soft and sticky, but regular brushing can easily remove most of it. However, plaque hardens into tartar, which is beyond the abilities of a toothbrush and floss. Tartar accumulates below the gums as well as on the tooth surface. If plaque isn’t removed, you risk more serious problems with your oral health down the road. Because of the research that confirms a link between untreated gum disease and serious conditions like heart disease, stroke, and diabetes, having your teeth cleaned on a regular basis is one of the best things you can do to maintain health! A s our bodies age over time, so do our teeth and gums. Years of plaque buildup, as well as drinking coffee, tea, or red wine, can darken your smile. Ask our team about procedures that can combat these issues. Lowered saliva flow is often a side effect from medications. There are simple products that can help alleviate this condition. Your fillings are also aging. They can begin to weaken or crack. Regular check-ups allow us to stay on top of your existing fillings. Gum disease and decay can be bigger problems with seniors. Daily brushing and proper nutrition are important for healthy gums. If your gums become red, begin to bleed, or your teeth start to loosen, contact us immediately. If a tooth is severely damaged or infected, of if third molars are impacted, extraction is the solution. We complete most extractions in the office, so you will not need to be referred to another office. Our compassionate chair-side manner will make you feel comfortable and relaxed during treatment. There are numerous studies linking heart disease, strokes, and other medical conditions to the presence of gum disease. The research demonstrates that dental health goes beyond just a nice smile without toothaches. From having strong teeth to properly chew, to healthy gums, excellent dental health is an important factor to your overall wellness and vitality. In recognition of the importance of having a healthy smile, Dr. Kravitz has implemented a new process that goes well beyond the “diagnose and repair problems” approach with many in the dental profession. Using these methods, your dental health (and especially your gums) is tracked on graphs from visit to visit, and maintained in our computer system, where it allows us to display a visual history of your dental health. This allows Dr. Kravitz to set health goals with patients. Our practice works with you, similar to a coach or trainer, in achieving those goals. I f, for example, you become ill, you go to your doctor for treatment. Let’s say that you make a full recovery. That’s great news! But what if you went to the doctor when you were feeling WELL and you learned how to not get sick in the first place? That would be even better because who really wants to get sick? That’s what we call “Wellness Care.” This approach to oral health is what drives our practice. Of course we can get your teeth and gums healthy and repair any damage like every other dental office. But we go beyond this and show you how to prevent dental problems before they develop. We begin with a thorough examination. We evaluate your bite and how your teeth mesh together. We also look for oral cancer, gum disease, signs of wear, and any potential problem that you might encounter in the future. We want to prevent problems and make your teeth and gums healthy, which leads to less time spent at the dental office! Did you know there is a connection between dental health and the ability to control blood sugar levels? And were you aware that not all dentists are equally prepared to assist diabetics with dental care? Left untreated, gum disease worsens diabetes and diabetes makes your gum disease worse. It can be a vicious cycle. You’ll be happy to know that we have received unique training on dental care for those with diabetes. 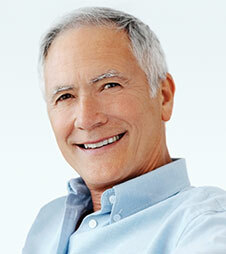 Contact us today for a complimentary consultation about dentistry for diabetics. Our team will never criticize you for having delayed dental care. You can be assured of compassionate and non-judgmental care at our office. We can help. Do you have dentures that move or even fall out? Would you prefer to have the strength and stability of dental implants? 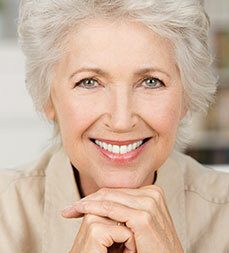 We are happy to tell you about a wonderful breakthrough called overdentures. We are able to anchor your denture or bridge with implants, eliminating slippage and trapped food. Dr. Kravitz and his experienced team can give you a great fit along with a great look. Increase your confidence and have even more reason to smile – ask us about this today! If it’s time for your next cleaning, or if you’re ready to schedule a no-cost/no-obligation consultation, call us now at (781) 245-7714.